Coincidently, I just read an article by a nurse, on her way to Church, who stopped to help victims of a car accident. She left after help arrived but was covered in blood and dirt. Rather than wasting time by going home to change clothes, she decided to simply put her top on inside out to hide most of the mess. Although she missed her own regular Eucharist, she just had time to make it to a nearby Mass at another church. Immediately after she felt self-conscious, ill at ease with the kind of attention she attracted but it was at the kiss of peace where she was actually shunned ; people ignored her, refusing to make eye contact or shake her hand. As an upstanding, well-known, active member of her parish, she was shocked by their judgements about what type of person she was. Suddenly this warm, giving nurse realized how the poor, marginalized and needy must feel every time they step inside a church. Pope Francis addresses this exact scenario. First he explains that “in the Eucharist, Christ is always renewing his gift of self, which he made on the Cross. His whole life is an act of total sharing of self out of love.” Then the pope proceeds to field a series of questions to help us look at our subconscious attitudes and our automatic actions. The first indicator is our way of looking at or considering others. There are all sorts of people surrounding us at church but do I feel they are all like brothers and sisters? Does the Eucharist increase my capacity to rejoice with those who are rejoicing and cry with those who are crying? Does it urge me to go out to the poor, the sick, the marginalized? Does it help me to recognize in theirs the face of Jesus? Do we love, as Jesus wishes, those brothers and sisters who are the most needy? How do I live this? Do I try to help, to approach and pray for those in difficulty? Or am I a little indifferent? Or perhaps do I just want to talk: did you see how this or that one is dressed? A second indication, a very important one, is the grace of feeling forgiven and ready to forgive. Hopefully we do not go to church because we want to appear better than others but because we admit that we need to be reborn by the mercy of God, made flesh in Jesus Christ. 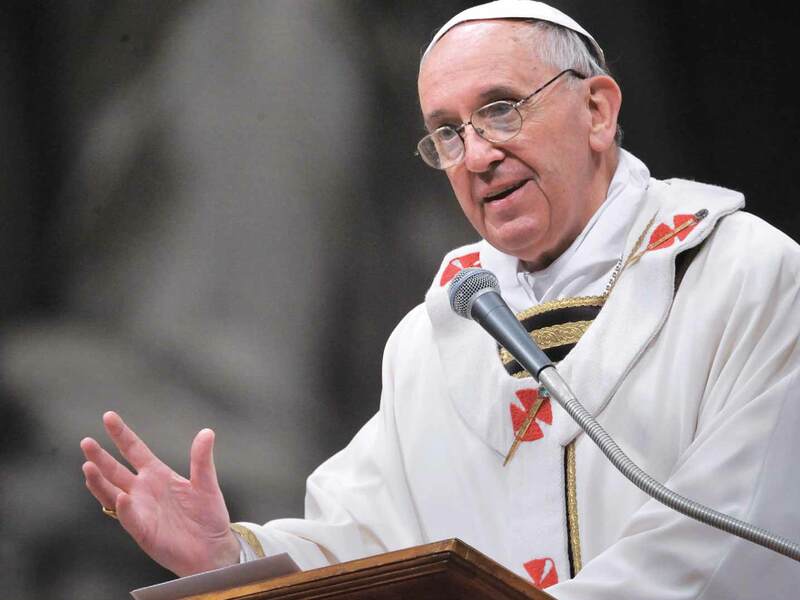 Pope Francis has harsh words for the proud, “If any one of us does not feel in need of the mercy of God, does not see himself as a sinner, it is better for him not to go to Mass! ” We go to Mass humbly because we are sinners and we want to receive God’s pardon. The last valuable indication comes to us from the relationship between the Eucharistic Celebration and the life of our Christian communities. I would like to quote the Pope’s reflections on this last sign of how we are living out the Eucharist in conclusion and in full, because I think they are quite powerful.